↑ "Shogun". Encyclopædia Britannica. สืบค้นเมื่อ November 19, 2014. ↑ Beasley, William G. (1955). Select Documents on Japanese Foreign Policy, 1853–1868, p. 321. ↑ Totman, Conrad (1966). "Political Succession in The Tokugawa Bakufu: Abe Masahiro's Rise to Power, 1843–1845". Harvard Journal of Asiatic Studies. 26: 102–124. doi:10.2307/2718461. JSTOR 2718461. ↑ "Shogun". The World Book Encyclopedia. 17. World Book. 1992. pp. 432–433. ISBN 0-7166-0092-7. ↑ "shogun | Japanese title". Encyclopedia Britannica (in อังกฤษ). สืบค้นเมื่อ 2017-08-21. ↑ 9.0 9.1 Sansom, George (1961). A History of Japan, 1134–1615. United States: Stanford University Press. ↑ Titsingh, I. (1834). Annales des empereurs du Japon, p. 409. ↑ Wakabayashi, Bob Tadashi (Winter 1991). 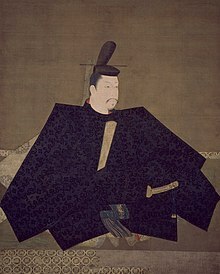 "In Name Only: Imperial Sovereignty in Early Modern Japan". Journal of Japanese Studies. 17 (1): 25–57. doi:10.2307/132906. JSTOR 132906. ↑ "Japan". The World Book Encyclopedia. World Book. 1992. pp. 34–59. ISBN 0-7166-0092-7. ↑ Valley, David J. (April 15, 2000). Gaijin Shogun : Gen. Douglas MacArthur Stepfather of Postwar Japan. Title: Sektor Company. ISBN 978-0967817521. สืบค้นเมื่อ 2 June 2017. ↑ Ichiro Ozawa: the shadow shogun. In: The Economist, September 10, 2009. ↑ Bentley, Jerry. Traditions and Encounters. pp. 301–302. ISBN 978-0-07-325230-8. ↑ Mass, J. et al., eds. (1985). The Bakufu in Japanese History, p. 189. หน้านี้แก้ไขล่าสุดเมื่อวันที่ 23 พฤศจิกายน 2561 เวลา 18:06 น.